Heating engineers will have opportunity to upsell energy -saving measures with every combi boiler installation. UK Government has mandated Boiler plus legislation with one of four energy efficiency control options must be fitted at the same time when brand new boiler installation will be carried out. Under New Regulations, Gas Engineer must notify that heating system is complaint with Boiler Plus regulation .Boiler manufactures are also promoting boiler plus regulation by introducing free training and web seminars to educate their approved installers. Consumers must choose one of below 4 options to comply with boiler plus regulation . 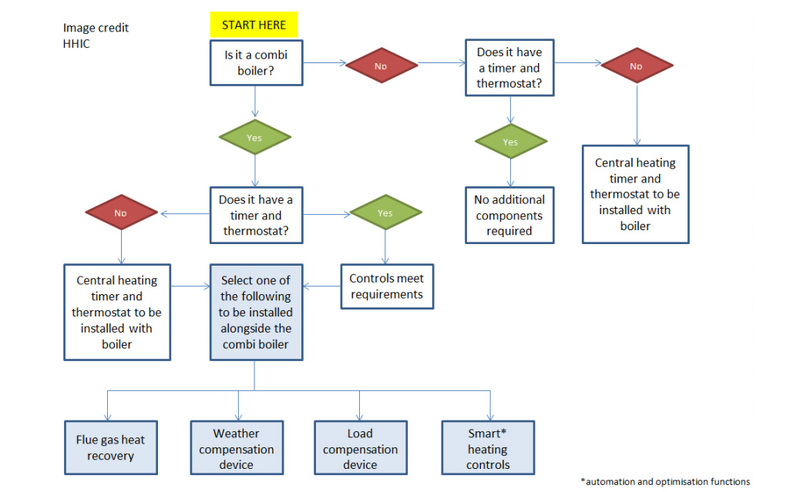 Weather compensation is a very cost effective ,quick to install and easy way to comply with new boiler plus regulation .Basically to implement weather compensation , boiler manufactures introduced a device which will monitor temperature outside the building and regulate boiler performance automatically to compensate outdoor temperature variation .Boiler’s internal electronic control system will use outside temperature as a reference point via weather compensation device installed outside the building . This temperature reference point will help boiler to use accurate amount of fuel to equalise the heat energy lost from the building. Weather compensation sensor will help to reduce energy wastage. Boiler Manufactures selling flue terminal with built in weather compensation sensor which sends information to boiler . Load compensation device measure boiler response time and modulate the flow temperature as heating load varies. When boiler initialise itself and start combustion process ,Boiler internal electronic control monitors return temperature and calculate heating system required load. This whole load monitoring process send data to boiler control system to regulate combustion process and eventually reduce fuel consumption .With this technology , consumers will save money on energy bills and cosy winters without energy wastage. Flue Gas Heat Recovery is very innovative technology developed by boiler manufactures to meet UK Government Co2 emission standard .Not only that but use the heat stored in POC (product of combustion ) to heat domestic hot water . Most of Boiler manufactures have different Kit available for heating engineer to meet Flue gas heating recovery option. Smart Control with Automation & Optimisation is very High end technology which control Boiler output while validating pre-programmed control devices like smart thermostat & Occupancy sensors. Consumer can control their heating systems over internet via smart phones or smart control will switch on/off as per Consumers presence in Premises. Smart control not only detects occupancy of property but it has very innovative function to gather data like how long property takes to reach to set temperature .This data is used by smart control system to modulate boiler control and achieve maximum output while using right quantity of fuel. You can download the official Boiler Plus Factsheet from the Gov.uk website. LPG Certified team is fully trained prior to Boiler plus came into force, so we can provide maximum comfort to our customers. LPG engineer upselling & installing the latest control gears designed by Industry boiler technology giants.